Life Safety Associates provides turnkey support; from working on your existing CAD drawings or converting hand drawings of your site. 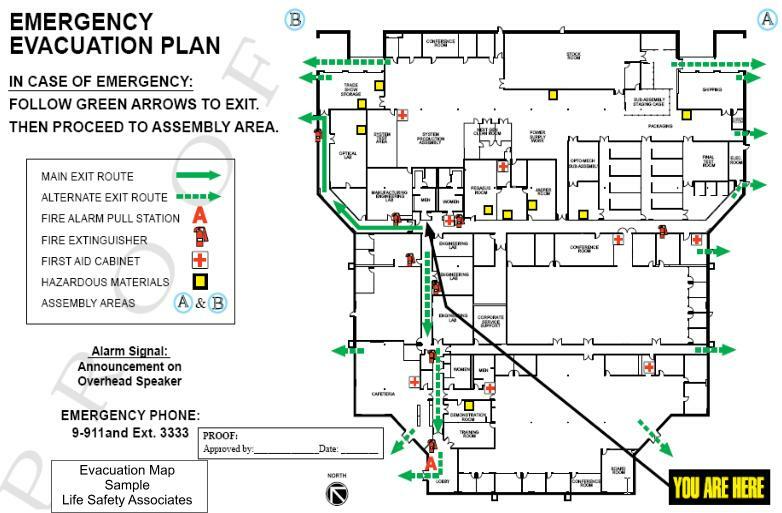 Click to see an example of how an evacuation map looks. (the actual final map comes in brilliant colors that are absolutely clear, a very high quality product). Of course the final product comes framed (with 15 color choices) and ready to be mounted. Multi-color safety display (11 x 17 inches) showing floor plan, evacuation routes and safety information and equipment. Call or E-Mail for quote.